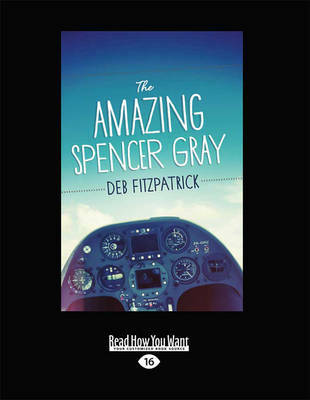 Spencer Gray is just an ordinary kid. He lives with his family in a small country town. He loves his mum and dad, and his little sister. He likes school, cross - country running, his close friends and Lego. He wishes he was better at skate boarding. But when Spencer's dad crashes... read full description below. Spencer Gray is just an ordinary kid. He lives with his family in a small country town. He loves his mum and dad, and his little sister. He likes school, cross - country running, his close friends and Lego. He wishes he was better at skate boarding. But when Spencer's dad crashes their glider into the side of a mountain, Spencer proves he's anything but ordinary. With Dad injured and unconscious, Spencer faces big decisions. He has no way of knowing how badly hurt Dad is, or how desperately he needs help. He must battle the darkness, the rain, the cold and, above all, his own desperate fear, to do what needs to be done. A page - turning adventure story for younger readers.